Contemporary Accounting Research: Myer Holdings Ltd. Discuss the Contemporary Accounting Research for Myer Holdings Ltd. In the main, this research paper would be helpful to evaluate annual reports of Myer Holdings Ltd. (MYR) with regards to the reporting requirements that are enforced on accountants. Moreover, for this paper, I would like to select Myer Holdings Ltd as a prime company. The other company that I would like to select in order to make out the differences in disclosures is David Jones Limited (DLJ). In addition to this, this research paper would be helpful to evaluate the annual reports of both companies in compliance with the conceptual framework in order to make out the discrepancy in corporate reporting in an effective way. In the first section of this paper, I would like to provide all the detailed information of the both chosen companies MYR and DLJ. Moreover, in the second section, I would like to confirm annual reports of both companies in compliance with the conceptual framework as well as standards. In the third section, I would like to give some important suggestions that the firms must implement to improve the overall efficiency of the organizations. Myer Holdings Ltd.: MYR is the leading retail company in Australia. It offers a large variety of products such as clothes, toys, electrical, homewares, food & confectionery, footwear & accessories, cosmetics & fragrance, books & stationery, furniture & bedding, travel goods, and so forth (Myer Pty Ltd. 2016). David Jones Limited: DLJ is a fashionable department store in Australia. DLJ was established by David Jones in 1838. Along with this, David Jones is the oldest operating department store that is still trading in its innovative name (David Jones. 2016). Conceptual Framework: This discussion of this section depends on the consolidated financial statements as well as annual reports of the Myer and Jones. To make this discussion effective and the comparison advantageous, the accounting policies that are used in the preparation of the financial, as well as annual reports, would also be discussed in this section. The management of both companies needs to estimate the things that may affect the annual reports of the organizations. It is because of a business organization contain inherent uncertainties and for that reason, the management must estimate and also make assumptions in order to prepare accurate financial reports as well as annual reports at the end of the year (Mondelez International, 2016). On the other hand, it should be noted down that, the Myer prepares its consolidated financial statements as per the AASB (Australian Accounting Standards Board). The firm fully obliged to implement the entire pre-determined accounting standard to prepare its consolidated financial statements in reference to AASB. The firm is obliged to make its financial statements according to the AASB due to several reasons. For case, the main reason is that all the listed companies are obliged to work as per the Australian Accounting Standards Board. In this case, Myer is also a listed company and fully compelled to follow AASB in a systematic way (AASB, 2015). On the other hand, it should also be noted down that, AASB is also issued by IASB (International Accounting Standards Board) and all the listed organizations are obliged to prepare their consolidated financial statements as per the global accounting standards. Apart from this, David Jones is also a listed company and it is also obliged to prepare its consolidated financial statements in line with the Australian Accounting Standards Board. In the same manner, it should be noted down that both Myer and David Jones put into practice the AASB accounting standards in order to prepare and to present their annual reports in an effective and an appropriate way (Wang, 2014). On the other hand, it should also be noted down that, the economic characteristic, as well as risks that are inherent in the economy of the nation, also influence the financial activities and outcomes of the companies. In that case, the accounting standards provided by AASB play a significant role in order to discontinue such activities that may influence the operations as well as financial results of the firms. Along with this, to break off these types of activities, AASB obliged to display all the additional disclosures such as cash flow, balance sheet, and so no in order to prepare consolidated financial statements and annual reports accurately (Tarca, Morris and Moy, 2013). As a result, Myer is including its additional disclosures in order to prepare its consolidated financial statements as well as annual reports as per the specified accounting standards. In the same manner, David Jones also applies the accounting standards provided by AASB in order to prepare as well as present its annual reports at the end of each and every financial year. Moreover, David Jones also operates its business in different countries and for that reason the firm concentrated on all its business as well as financial reports in order to make sure that all the financial statements and financial reports that are disclosed by the firm are adequate and also according to international financial reporting standards (Braun, Haynes, Lewis and Taylor, 2015). Along with this, the main focus of the firm is to observe all the international accounting standards, as well as guidelines, are followed by the firm in a proper way. In this wait, with the help of the valuation of both companies, it can be assumed that both Myer and David Jones follow the Australian Accounting Standards Board to prepare their consolidated financial statements and annual reports accurately. On the basis of the previous annual reports of the chosen organizations, it should be noted down that both business organizations use fair value accounting method to predict the accurate value of assets, liabilities, and equities of the business firms. In addition to this, AASB also expresses that the firms must consider the fair value as the price in order to sell their assets, to pay their liabilities and to make all the transactions in an effective and a comprehensive manner (Barth, 2015). On the other hand, it should also be noted down that, both companies take in historical cost convention method, assessment of investment properties, trading securities, available-for-sale financial assets, financial assets & liabilities at fair value, derivative contracts, and so forth in order to proper financial reports of the firms in an accurate way. Moreover, the fair value of valuation is an effective method that plays a critical role in order to estimate the accurate value of the assets of the firms. In the AASB, the fair value method is also famous as market-to-market accounting practice (Crawford, Ferguson, Helliar and Power, 2014). In addition to this, both firms formulate as well as implement accounting standards in order to make sure the consistency and significance of the information that does not influence particular interests as well as results of the organizations. In addition to this, all the way by using the fair value method, both companies evaluate as well as represent their assured assets as well as liabilities in the balance sheet on the basis of their fair market prices. Moreover, both companies use fair value method to measure all their assets in order to reveal the exact value of the business in front of their investors and shareholders (Daske, Hail, Leuz and Verdi, 2013). In addition to this, fair value accounting method entails financial reporting of assets as well as liabilities on the B/S at fair value. The method also reflects on changes in the actual value of assets as well as liabilities the same as gains and losses in the income statement. On the basis of the annual reports of the firm, it should also be noted down that, Myer put into practice code of conduct and corporate government to prepare the report of the director in an appropriate way. Along with this, David Jones also talks about the corporate governance in its financial statements. At the end of each and every year, both firms issue a corporate governance report as the notes of the financial statements (Biondi, et al., 2014). Moreover, the codes of ethics reports of both companies are accessible on their official websites. It should also be noted down that corporate governance framework, as well as practices, provided numerous policies as well as guidelines that are adopted by the Board of the companies in order to meet their corporate social responsibilities in a proper way. In addition to this, Myer and David Jones also bring to light the work carried out by the companies over the past financial year. Both companies talk about the code of conduct that is related to their workplaces (Barth, Landsman, Lang and Williams, 2012)… In this way, it can be said that both companies follow corporate governance and also related documents, charters, and policies appropriately. Economic and Risks Factors: Myer declared the economic as well as risks factors in the notes to its financial statements. David Jones did not state economic and risk factors in its financial statement. Moreover, in today’s emerging market, economic, political and regulatory risks are evaluated by Myer effectively. Myer contains all the information in their Annual Report or on Form 10-K. Myer operates its businesses in the highly competitive industry, so it reveals the political, economic and regulatory risks and also forward-looking information in its annual reports (Christensen, Lee Walker, and Zeng, 2015). The annual reports of Myer are free from bias because it provides fair as well as accurate financial information in their financial or annual reports. On the basis of the above conversation, it can be recommended that David Jones should release information linked to risk factors in its annual reports. For instance, the firm must prepare a report of statement that may represent all the business related risks in front of its investors and shareholders. This strategy would be helpful in order to improve the image of the business firm in an effective way (Dye and Sunder, 2001).. Moreover, David Jones operates its business in the global market and also faces several risks; so it must point out the risks factors in its reports in order to designate the shareholders about the perspective of the business. In addition to this, it is also suggested that Myer must consider all the major aspects linked to the IFRS (International Financial Reporting Standards). For case, in order to prepare and develop financial statements as well as reports, the firm must adopt and implement guidelines and standards of IFRS. The firm must prepare financial statements as per the accounting standards of IFRS. IFRS would also be helpful to overcome the financial error in a proper way. At the same time, it should also be noted down that, Myer runs its operations in many countries and as a result, it should apply the international standards to follow international aspects connected to business (Francis, Huang and Khurana, 2015). On the other hand, it is also recommended that Myer should release all its essential information for the profits of investors and stakeholders. Moreover, the firm should also work as per the accounting standards and also fulfill its corporate social responsibilities in an effective and more comprehensive manner. In addition to this, it is also suggested that the firm must provide training to its human resources; so they can fulfill their corporate social responsibilities and also improve the image of the corporation in front of others. To end with, it is also suggested that, the company should concentrate on different kinds of risks that may influence the profitability as well as the productivity of the company in a negative way. The firm should develop innovative strategies to deal with and to conquer certain risk in an effective way (Ahmed, Neel and Wang, 2013). On the whole, it is suggested that the company should follow all the pre-determined guidelines and accounting standards for the overall success as well as the growth of the organization. AASB. (2016). Available At: https://www.aasb.gov.au/ [Accessed On 19th August 2016]. Ahmed, A. S., Neel, M. and Wang, D. (2013) Does mandatory adoption of IFRS improve accounting quality? Preliminary evidence. Contemporary Accounting Research, 30(4), pp. 1344-1372. Barth, M. E. (2015). Commentary on Prospects for Global Financial Reporting. Accounting Perspectives, 14(3), pp. 154-167. Barth, M. E., Landsman, W. R., Lang, M. and Williams, C. (2012). Are IFRS-based and US GAAP-based accounting amounts comparable? Journal of Accounting and Economics, 54(1), pp. 68-93. Biondi, Y., Tsujiyama, E., Glover, J., Jenkins, N. T., Jorgensen, B., Lacey, J. and Macve, R. (2014). ‘Old hens make the best soup’: accounting for the earning process and the IASB/FASB attempts to reform revenue recognition accounting standards. Accounting in Europe, 11(1), pp. 13-33. Braun, G. P., Haynes, C. M., Lewis, T. D. and Taylor, M. H. (2015). Principles-based vs. rules-based accounting standards: The effects of auditee proposed accounting treatment and regulatory enforcement on auditor judgments and confidence. Research in Accounting Regulation, 27(1), pp. 45-50. Christensen, H. B., Lee, E., Walker, M. and Zeng, C. (2015). Incentives or standards: What determines accounting quality changes around IFRS adoption? European Accounting Review, 24(1), pp. 31-61. Crawford, L., Ferguson, J., Helliar, C. V. and Power, D. M. (2014). Control over accounting standards within the European Union: the political controversy surrounding the adoption of IFRS 8. Critical Perspectives on Accounting, 25(4), pp. 304-318. Daske, H., Hail, L., Leuz, C. and Verdi, R. (2013). Adopting a Label: Heterogeneity in the economic consequences around IAS/IFRS adoptions. Journal of Accounting Research, 51(3), pp. 495-547. Dye, R. A., and Sunder, S. (2001). Why not allow FASB and IASB standards to compete in the US?. Accounting Horizons, 15(3), pp. 257-271. Francis, J. R., Huang, S. X. and Khurana, I. K. (2015). The Role of Similar Accounting Standards In Crossâ€Border Mergers and Acquisitions. Contemporary Accounting Research. Myer Pty Ltd. (2016). Annual Reports. Available At: https://investor.myer.com.au/Reports/ [Accessed On 19th August 2016]. Tarca, A., Morris, R. D. and Moy, M. (2013). An investigation of the relationship between the use of international accounting standards and source of company finance in Germany. Abacus, 49(1), pp. 74-98. David Jones. (2016). Available At: https://www.davidjones.com.au/Contact-Us [Accessed On 19th August 2016]. Wang, C. (2014). Accounting standards harmonization and financial statement comparability: Evidence from transnational information transfer. Journal of Accounting Research, 52(4), pp. 955-992. Zeff, S. (2014). The IASB and FASB stumble over the annuity method of depreciation. Accounting in Europe, 11(1), pp. 55-57.
thebestassignmenthelp.com has been satisfying students’ needs over a decade now. 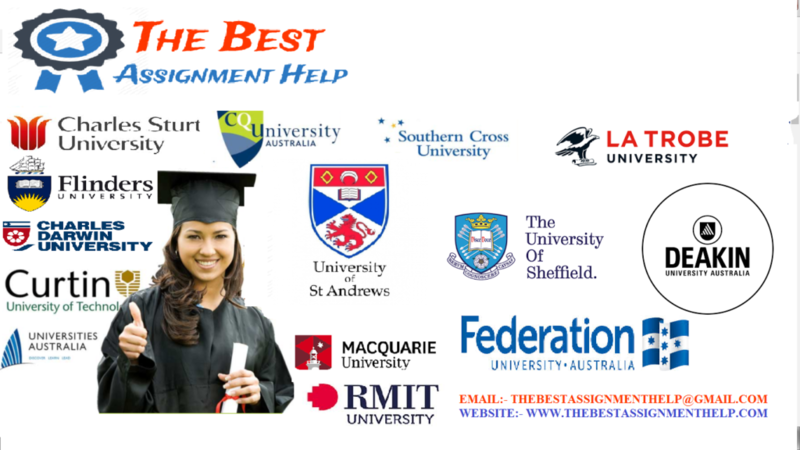 With years of experience in providing assignment help, we are capable of understanding students’ requirements better and fulfill them perfectly. To meet the students’ needs, we have appointed 3000+ experts, who cover more than 100 subjects while assignment help. Some of our popular services include corporate finance assignment help, MATLAB assignment help, database assignment help, operating system assignment help, and web development assignment help.